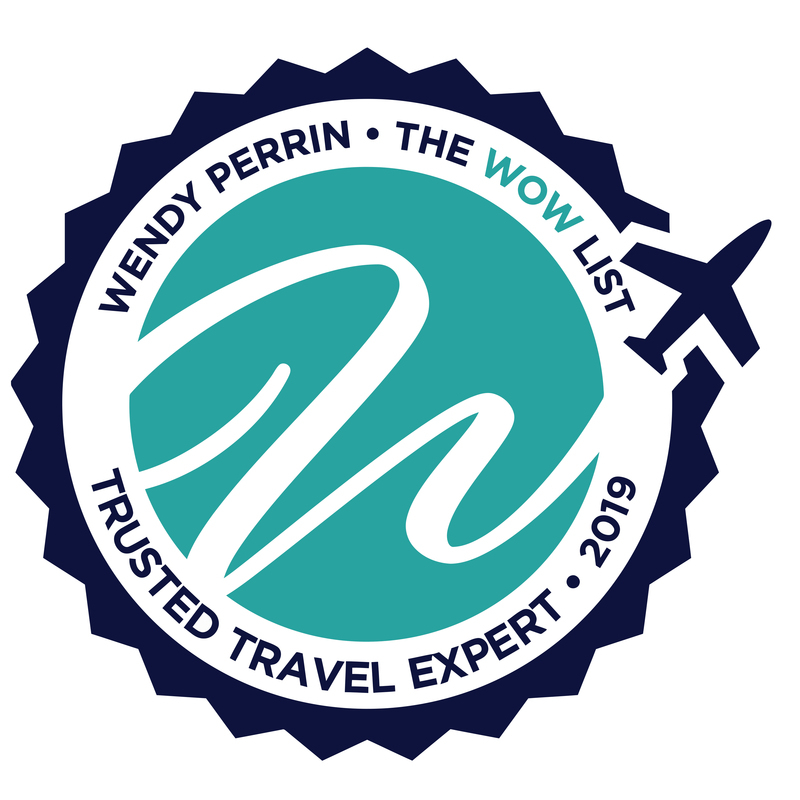 Sheri Doyle is on Wendy’s WOW List of Trusted Travel Experts for her expertise and connections in Washington, Oregon, and California. The reviews below are from real travelers who’ve taken trips that were arranged by Sheri and monitored by Wendy. Don’t miss Sheri’s Insider’s Guides to Seattle, the San Juan Islands and Olympic Peninsula, and the Perfect California Coast Road Trip. The Gill family WOW Moment. Our family of four (teenagers, ages 19 and 16) spent a memorable week in Southern California thanks to some great last-minute planning from trusted travel expert, Sheri Doyle. Sheri was very helpful in recommending and organizing hotel stays at both the new hipster Pendry Hotel in San Diego and the luxurious Pelican Hill Resort outside of Newport Beach. We initially had a little misunderstanding with the resort regarding our room location at Pelican Hill, but after a short conversation with Sheri, we were quickly upgraded to a room with a much better view (thanks Sheri). THIS type of personalized service is the reason we plan most of our trips using Wendy Perrin’s trusted travel experts. Since I only had a few ideas of fun activities and restaurants we wanted to visit, I appreciated the list of suggestions that Sheri provided during the planning process (she also has the option for her to plan your entire itinerary if you so choose). Our girls are still talking about how much fun it was to para-glide over the beaches/golf course at Torrey Pines. We wrapped up our family trip with a memorable beach bbq at Crystal Cove State Park while watching the sunset with our toes in the sand. 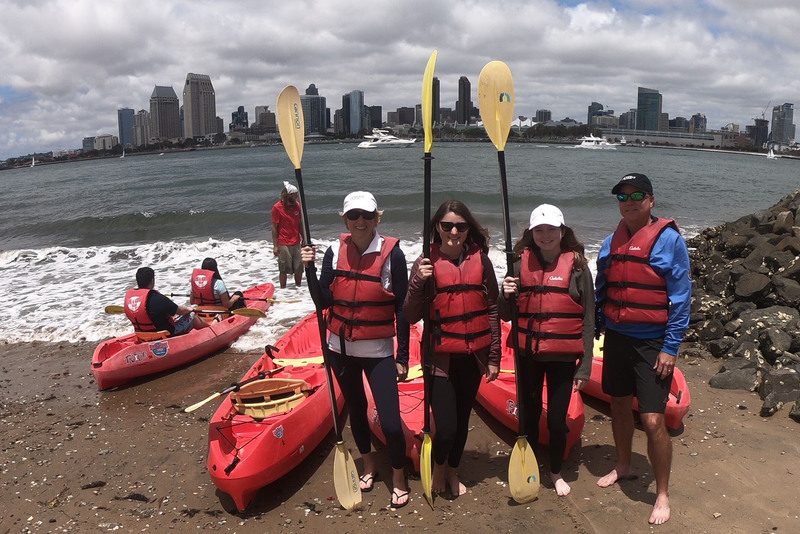 Since this was our third qualifying trip with a Wendy Perrin travel specialist, she surprised us with a complimentary WOW moment which included a day of adventure on charming Coronado Island. Our guide for the day picked us up at our hotel for a short ferry ride over to the historical island. We spent the day riding electric bikes around the quaint residential areas of the island and then kayaked out into the bay with very knowledge local guides. Thanks Wendy for a very memorable day for all of us! I wouldn’t hesitate to recommend the services of both Sheri Doyle and Wendy’s list of travel specialists to “amp up” your next trip! We certainly will! Sheri Doyle did an exceptional job planning out a two week Pacific Northwest adventure vacation. We were looking for a road trip to begin in Willamette Valley the land of Pinot, then on to the Columbia River Gorge Valley for some rafting down the White Salmon River, hiking at Lookout Mountain and ultimately relaxing at Timberline Lodge before heading onto Portland, then Olympic National Park, onto the San Juan Islands with the trip culminating in Seattle. While we may have arranged some of this vacation ourselves, we were scheduling the vacation during peak season with little notice. Sheri was able to secure us with terrific hotel options, the perfect pace of trip, balancing outdoor adventure activities and some downtime to recharge ourselves. While the ferries can be a challenge onto/off of the San Juan Islands – Sheri timed them perfectly for us. The area had so many different variables Sheri understood our vision and mapped it out to perfection. We plan on using Sheri for our next adventure from Seattle, Vancouver, the San Juans and touring British Columbia. Sheri was exceptional!!! I needed to plan a Washington State road trip at the last minute, and Wendy recommended Sheri Doyle, who was simply terrific! My main concern at that late date–I wanted to travel in August, and I called Sheri in mid-July–was finding nice accommodations, and Sheri was able to get us reservations quickly. She then turned her attention to crafting a great itinerary that took into account our disparate needs; my sister and I were traveling with our three boys, ages 9, 11, and 14. Sheri understood that the itinerary needed to keep the boys interests and not be too tiring, but also make things fun for my sister and I. We explored Mt. Saint Helens, Seattle, Bainbridge Island, Sequim, and the Olympic Peninsula in about a week. Everything went pretty smoothly, and when I had a question here and there, Sheri was available by text. We especially appreciated Sheri’s restaurant recommendations in Seattle and Sequim. One particular thing that proved invaluable was Sheri’s practical assessments about what could fit into our schedules due to city traffic and ferry schedules. We saved a lot of time, and got to see a lot more, by following her suggestions. I would definitely recommend Sheri, and I hope to have her help again in planning my next Northwest trip! Our recent trip to Vancouver, Whistler and Sonora Island was the second time we have used Sheri Doyle. Both trips were extremely well planned and executed without a hitch. Her knowledge and recommendations were excellent. We also really loved the AXUS software app she uses to give us every piece of info on our phones and to post any updates or changes in real time. I highly recommend using her for British Columbia and the Pacific Northwest. Great trip. Loved the app Sheri used for our phone which had her itinerary and all the links available to all the restaurants and sights. She also suggested we purchase gypsy guides for these areas which allowed us to have a guided tour as we did the trip our own way. We did book late which gave her some extra work on finding us great accommodations but she still put us in nice properties. She even got us a pass which got us past the roadblock at Lake Moraine. Highly satisfied and would definitely recommend her services. We used Sheri Doyle to plan the logistics of a complex trip to visit Whistler, Vancouver, San Juan Islands, and Seattle. She put together proposals of unique hotels in each of these sights and scored exceptional rooms at good prices in each place. She explained how to optimize the ferry schedule to see everything we wanted in the most painless way possible. Our trip went off without a hitch and we enjoyed all of her recommendations. Sheri did a great job giving us terrific options for our trip to Seattle and San Juan Islands. In fact – we didn’t even know we wanted to go to the San Juan Islands until she suggested it! Great balance between 4 busy days and nights in Seattle and 3 nights and days at a much slower pace in Roche Harbour. With very little lead time, (as I just didn’t have the time to put this together myself) Sheri put together a good agenda with lots of options for us to choose from. Booked us great hotels in perfect locations when things were showing up as full otherwise. Individual tours were perfect as were the recommended restaurants. Our whale watching experience was amazing, with a great outfitter – and the whales certainly performed for us that night! Thank you Sheri – we had a great experience and appreciated all of your suggestions. It was a perfect trip. Wendy, Sheri Doyle did a very good job planning our trip as we used a lot of her suggestions. She stayed in contact while we were on the trip giving advice due to our flight cancellation and the wildfires. On our trip, we drove over 3200 miles with lots of hikes so it would not be for everyone. I have written up a few pages for Sheri that I will copy you on. We would use travel planners again (we have in the past also) but most likely would not visit the Pacific Northwest again as we have too many other destinations in mind. Thanks for all the recommendations! I loved working with Sheri Doyle. I am fortunate enough to be able to travel with my mom and step-father – two of the most energetic and interesting octogenarians ever! They are active travelers but have recently talked about scaling back on travel due to the stress of planning and sometimes difficult logistics. It was important to me that they continue to travel and so I wanted to make things as smooth as possible for them. When we talked about a Pacific Northwest trip I was excited but overwhelmed by the planning. Then I read about Sheri on Wendy Perrin’s website. Sheri and I had a brief conversation and she really understood my goals for the trip and my parents. When we saw read her lengthy itinerary, we were excited to begin the trip. We loved her activity suggestions and restaurant recommendations in each location. We loved that she had booked the ferries and hotels for us, we loved the Axus travel app and we loved to be able to have someone to contact if there were any problems that came up during the trip – there was one small problem with a hotel but Sheri was accessible via text and phone and really helped me get things resolved. It was a lovely trip that my parents are still talking about. Thank you for helping me give them wonderful memories. Sheri Doyle did an excellent job planning and executing our recent trip to Seattle and the Pacific NW. She was extremely knowledgeable in all aspects including great accommodations, restaurants sites to see and places to avoid, excellent hiking and touring. Of particular note was her providing us with an Axus Itinerary which is a digital itinerary and guide which was updated frequently and gave us access to anything and everything on our smartphones throughout the trip. Any modifications we made she immediately posted on our Axus file. We LOVED having that! We are using her again for another trip in several weeks from now to British Columbia for Vancouver, Whistler and then a wilderness camp in the interior. Wow, do not hesitate hiring Sheri when planning your trip to Washington and/or Oregon! Her detailed planning service is worth every penny. Highlights: She snagged a 7 pm dinner reservation with a view at a restaurant that was booked solid 3 months out; she got us up close to Orcas in the wild; ferry reservations & very detailed instructions on our way to the San Juan Islands ; getting us into the cellar of a family-owned winery in the Willamette Valley where the owner popped off the cork of the barrel and asked us to listen to the crackling sound of wine fermenting (double Wow moment); tide pooling at the Haystack on Cannon Beach. Her customer service was superlative throughout the trip. She made contact regularly to make sure everything was going as planned. All of the resorts were spot on and her restaurant suggestions for dinner were culinary delights. The Castagna chefs food and wine tasting menu was truly a culinary adventure. I will hire her again without hesitation! She listened to our particular wants and executed perfectly…well done! Sheri was fabulous to work with. She sent us a wonderfully detailed itinerary with her personal comments and suggestions all along the way and with links to multiple websites (maps, restaurants, things to do). Her notes about things to do and see were incredibly helpful and we used the itinerary constantly. She included her favorite hikes and we did most of those as well. She had suggested downloading the Gypsy guides for parts of our drive, which we did and which we loved. She was reachable and accessible at all times and was a pleasure to work with. She was extremely attentive to detail and there was no stone left unturned. Sheri Doyle is an expert on the Pacific Northwest her attention to detail as well as her level of experience in the region made the trip one of the best we have ever taken. Sheri Doyle is the best travel professional you have recommended for us. She was very responsive during the planning process, clearly listened to our desires for the trip, and made them happen seamlessly. The travel APP she had us download and use during the trip was a tremendous tool and we used is everyday..we would HIGHLY recommend you suggest all of your professionals use this APP. Amazing trip, her experience and recommendations for things to see and places to eat were dead on..Excellent. We would HIGHLY recommend Sheri to anyone thinking of making a trip to this part of the world. Sheri helped our family plan a fantastic Pacific Northwest adventure. She gave us so much information on things to do, places to eat, and different routes to travel. A question during our trip was handled immediately by her assistant. I would definitely recommend Sheri for planning a trip in this location. She is incredibly knowledgeable! Sheri was fantastic. She helped us plan a trip from Seattle to Vancouver including the Olympic Peninsula and Victoria. Sheri planned all the logistics such as which ferries to take, what time to visit a national park, what to do only on a sunny day rather than a cloudy one, which hikes to take in light of the ages of our kids, restaurants that we would enjoy, traffic advice, museums to visit, and more. She helped us find a great vacation home in the Olympic Peninsula that we would never have found on our own. We were initially reluctant to hire a travel agent who charged by the hour for her time but we are so glad we did because she was worth every penny. Much of the detailed itinerary planning she does wouldn’t yield a commission for her (for example planning scenic drives, hikes inside national parks, ferry rides) so I understand why she bills for her time the way she does and would highly recommend her to others, especially anyone who is visiting the region for the first time. Sheri was very available, organized and responsive throughout. She helped us find great places to stay, wonderful restaurants, and excellent activities. For a small additional fee, she provided excellent advice about logistics, activities and eating options, always with kids/family in mind. I didn’t even open the guide book I brought because I had all the info I needed in print and via a travel app on my iPhone she used. Her guidance really helped to make our family vacation stress free and fabulous. Sheri was great. When at the last minute our son decided to come with us she was able to change all the reservations to get him included. Sheri was monitoring us the whole trip.She was amazing the morning we were leaving Seattle I got a text from her telling us that our ferry to San Juan Island was canceled and leave asap to catch an earlier ferry and that she had changed our reservations for the ferry. Coming back the same thing happened and Sheri was on top of it changing our ferry reservations and letting the hotels know we would be late constantly texting me updating what we should do. The tours she booked for us whale watching and wine tasting the people could not have been nicer or more accommodating. The hotels and her recommendations for restaurants were spot on. Sheri was amazing! She worked very easily with our specific requirements and provided great specific suggestions based on what we wanted to do. She also gave us some great ideas of things we had not thought of and turned us on to an amazing part of our trip that, although we may have discovered it on our own, I do not think we would have booked it without her encouragement. The timing and duration of each of our stops was perfect and Sheri put that together. She also spaced everything out with the driving so that it was very easy and pleasant to get from place to place. The best part was that she provided her personal guide to each place we stopped. This was amazing because it took all of the guesswork out of where to go and what to eat while we were in each place. We had our own favorites in some of the stops (many of which appeared on Sheri’s guide) but we also followed her suggestions exclusively when we did not have our own knowledge and they were all home runs! Not a single recommendation on lodging, activities or dining was less than ideal. I can’t stress enough how great and well worth the fee working with Sheri was -not only did it remove a great deal of admin work for me it also took our trip to the next level! Honestly, there isn’t a single thing I would suggest changing. I can say that I would have happily paid more for Sheri’s work. I think she could charge more – it’s a steal at what she charges. A great trip by Sheri. Sheri Doyle was a great planner for our trip of four adults to San Juan Island. The accommodations at Roche Harbor were lovely and quiet. Just what we needed. Restaurant suggestions were wonderful. Mayas Whale watching trip was very enjoyable even though we did not see any orcas. We did see humpback whales and Alan and Rachel were very smart and helpful. Hotel the last night in Seattle (Inn at the Market) was fantastic. Views from the roof were great. All in all a great trip by Sheri. Sheri Doyle was beyond extraordinary! The recommendations, the follow through, the level of service were all exceptional! I will absolutely recommend Sherri to anyone traveling to the Pacific Northwest, and I plan to use her services the next time I’m out that way. I give her a 15 out of 10 stars!! Sheri found a great hotel for us, within walking distance of the concert venue, during a time when good hotel rooms were very hard to find. She emailed an extremely thorough list of restaurants and activities to keep us busy the day before our concert. She followed up once we arrived in town to make sure all was going well. I will use her services anytime we travel in the Pacfic Northwest and I highly recommend her to anyone else. We reached out to Sheri Doyle for help planning a family trip to Canada and Seattle. I’ve planned many trips on my own by researching and planning. I had never considered using a travel planner until this trip. It was a little last minute and I was really busy – I needed the help. My parents were trying to plan a trip for themselves and my daughter (a college student) with a few different goals: my parents have always wanted to take a long, scenic train trip and my daughter wants to move from Florida to Seattle when she graduates and wanted to check out Seattle in person first. They ran into some snags and had considered giving up the idea. I didn’t have time to do all the research and planning on my own due to a particularly busy work schedule, so I reached out to Sheri. Sheri planned a wonderful trip! She was meticulous and planned everything from start to finish, which is exactly what we wanted. Over half way through the planning process, I had a change of plans and decided to join my parents and daughter on this vacation. Sheri didn’t skip a beat and managed to make the necessary changes to unexpectedly add a 4th person. This involved buying additional tickets and investigating hotel alternatives to accommodate a larger group. She did it cheerfully and excellently! Based on my first experience using a travel planner, I will try trip planning this way again. I only hope other specialists will be as knowledgeable and hard-working as Sheri. One other note: we definitely saved money on our hotels by going through Sheri. I double checked on my own and couldn’t come close to the same rate. There is a planning fee, but the savings made up for it. On top of that, we got the benefit of Sheri’s time and experience, making our trip a top-notch experience. We planned a trip to Seattle, the Olympic Peninsula, and Orcas Island with the help of Sheri Doyle, one of your recommended travel experts. She was fabulous – really listened to our preferences and designed a trip that was perfect for us in every way. We loved that Sheri gave us choices for dining and activities each day of our trip, that she was incomparably on spot with our sometimes complicated travel connections, that she was amenable to our input on lodging, and that she “got” our interest in more intimate and authentic experiences rather than just plugging us into what “everybody does”. We recently traveled to British Columbia to celebrate our son’s high school graduation. On Wendy Perrin’s recommendation, we contacted Sheri Doyle of Pacific Northwest Journeys. After a phone call and a detailed questionnaire, Sheri suggested that we limit our visit to Whistler and Tofino given our time constraints. That proved to be an excellent recommendation which allowed us to enjoy our vacation without being rushed. Our son wanted to mountain bike on Whistler/Blackcomb and truly enjoyed it. Sheri suggested other activities which kept the rest of us active while our son spent the day on the mountain. Her recommendation that we stay at the Four Seasons Whistler was great. It’s a beautiful hotel with great staff and a wonderful breakfast. We enjoyed our time in Tofino as well and Sheri’s recommendations for lodging, food and activities were perfect for us. One of the things that I appreciated was that Sheri was willing to do as much or as little as we desired. We did all our activity and restaurant bookings and that worked out great for us. It was a pleasure to work with Sheri—I would highly recommend her!